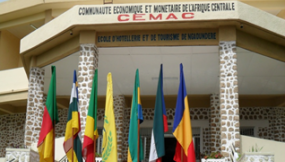 Cameroon has removed visa restrictions on the free movement of citizens of the six member states of the Economic and Monetary Community of Central Africa (CEMAC). In a circular to regional delegates, immigration, port and airport officials, as well as heads of border posts, police chief, Mbarga Nguele Martin, said the new policy will apply to all citizens from the region without exception. Under his new directive, citizens from Congo, Gabon, Equatorial Guinea, Central African Republic (CAR) and Chad, holding valid national ID cards or passports are no longer subjected to entry visas or exit permits for a staying period not exceeding three months in Cameroon. The move by Cameroon applies instructions by CEMAC leaders contained in a supplementary Act of June 25, 2013, establishing the free movement of people and goods in the region to the expressed advantage of citizens of those countries. Before Nguele’s circular, Congo, CAR and Chad, reciprocally exempted Cameroonian citizens from entry visas.